Home › The Writer's Nook › What Makes an Adventure? What if you could travel anywhere in the world? Where would you go? Would you explore the Antarctic or Europe? Amazon or the Sahara? Rome or New York? How about Yellow Stone or Joshua Tree National Park? Wherever your adventure might take you, preparation is a must! Imagine you are planning a trip to Prince Edward Island, a Canadian province near New Brunswik and Nova Scotia. Look at the maps above. 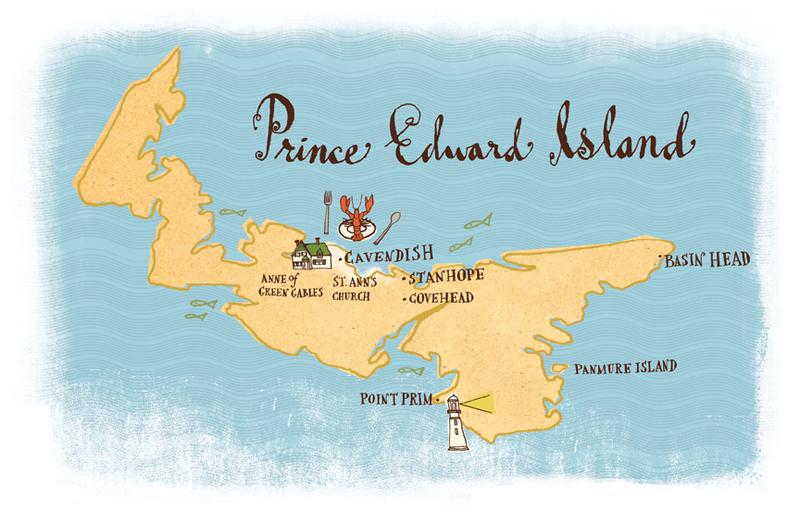 What is Prince Edward Island known for? What kind of surprises can happen as you explore this Island? What kind of emergencies would you encounter and how would you prepare for the unexpected? I would go to Australia. I would bring money,clothes,water,food,sleeping bags,a car, and flashlights. I would go to Austraila because I would love to climb a rocky ridge. The things that I would need would be a harness,lots of water,and beans. i would go to brazil and africa i would take waterbottles,firstaidkit,flashlight,journal and food. i would take winter cloths,lots of food,water,and money.